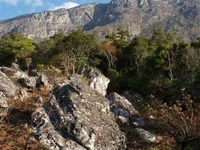 Travelers are voting Mount Mabu, Mount Namuli and Monte Binga as the best of 3 peaks or summits in Mozambique. Want more? Check out our map of peaks or summits in Mozambique.